The Miniatur Wunderland has many hardworking, creative and unique employees, who help run the Wunderland everyday. But at this point we would like to introduce the three founders of the Wunderland to you: Frederik, Gerrit, and Stephan. Without them, the Wunderland wouldn't be what it is today. Frederik Braun, twin brother of Gerrit Braun, was born on December 21st in 1967. Frederik was never one to live in a dream world – quite on the contrary, he has always pushed hard to make his visions come true. Starting at the age of 11 he started fulfilling his dreams. Together with his brother Gerrit, a sceptic by nature back then and today, he made plans and dreamt up ideas for the future. Frederik, the emotional and dedicated optimist, was often cautioned by his brother Gerrit to approach things more slowly. Even with Gerrit being a sometimes harsh judge, and slowing Frederik down with rational facts, the two of them made a good team and got closer and closer to fulfilling their visions. Their first mutual enterprise was Frederik’s dream of the world’s biggest Mickey Mouse comic book collection. Together they strolled through car boot sales and across flea markets, searching for bargain comics in order to sell them on for a profit at other flea markets. The profits went straight into their collection, which became gigantic over time. The comic books were followed by collectable autographs and later on by a nightclub, and the brother’s own record label. For more than a decade the two of them ran one of the most successful nightclubs in Hamburg in the nineties - the “Voilá”. But Frederik always felt that nightlife was not his place to grow old. He kept developing new ideas, trying to convince Gerrit to join in - but this proved much harder than he thought and quite a number of attempts were in vain. 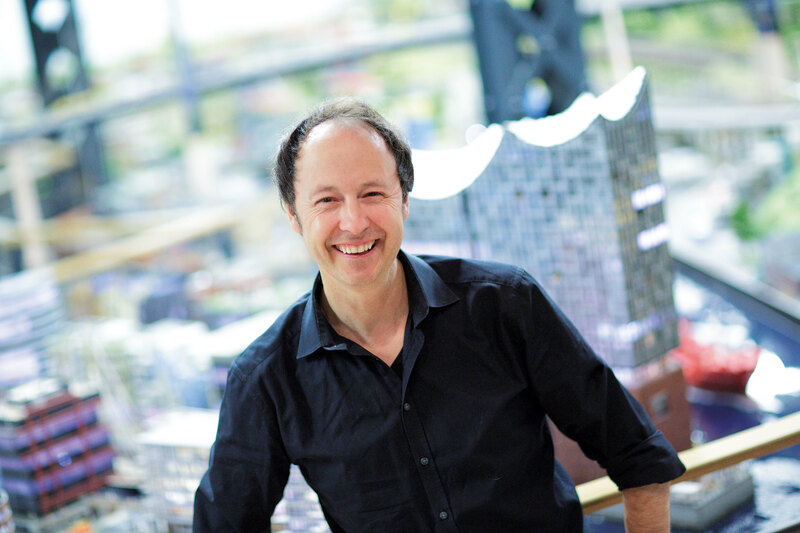 Until one day, in the fall of the year 2000, he found his destiny: Building the biggest model railroad of the world. Even knowing that Gerrit would probably think he had gone mad didn’t stop him and he dedicated himself 100 percent to his goal. He managed to convince his brother and to lay the foundation of the Miniatur Wunderland. 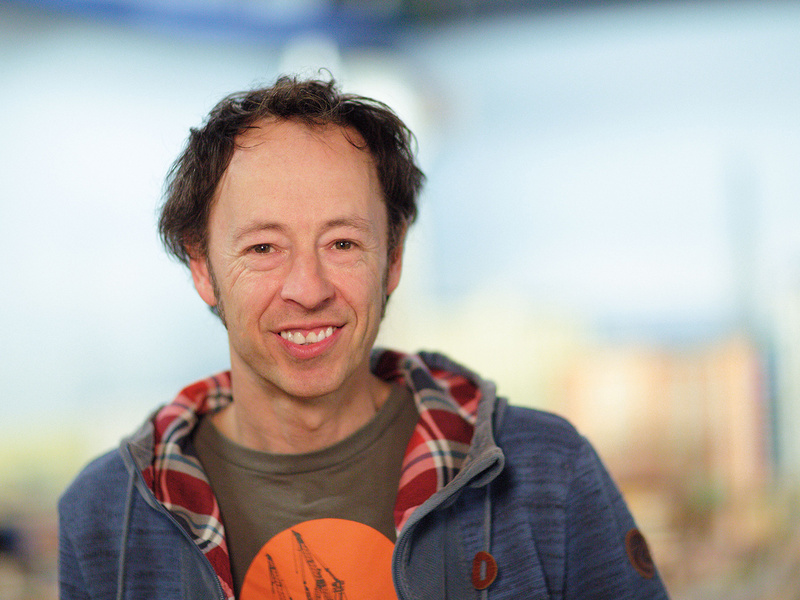 Gerrit Braun, twin brother of Frederik Braun, was born on December 21st in 1967 (a few minutes earlier than Frederik). Already early on he developed a responsible and protective streak. His brother Frederik kept bombarding him with quite a number of premature Ideas from early on, and it felt natural to Gerrit, to protect his “baby brother” from the risk of any vague ideas. But same as his brother, Gerrit had the ability to dream big and look into the future. Being a mathematician at heart Gerrit knew, that according to the laws of probability, he only had to wait for his brother to come up with a scheme that would look promising. It was only a question of waiting patiently and talking his brother out of the non-promising ideas. Until he was 11 he managed to rationalize his brother out of his scintillations, until Frederik approached him with the idea to build a huge Mickey Mouse comic book collection, making profits out of buying and reselling comic books. Gerrit simply couldn’t find any arguments against this plan and joined in. He developed the plan for this enterprise and analyzed every step along the way, showing his talent for strategy. He also did the strategic planning for the nightclub and the record label, developing a new gift for technology along the way. Already back in school Gerrit was good at construction. He built an igloo out of cigarette cartons, and a model railway that was exceptional for the time. After finishing school he studied information management while at the same time being the manager of the “Voilá”. His technical talent developed even more over the years. He invented a chronometer for motor sports and an unique billing software for catering, which is in use until today. 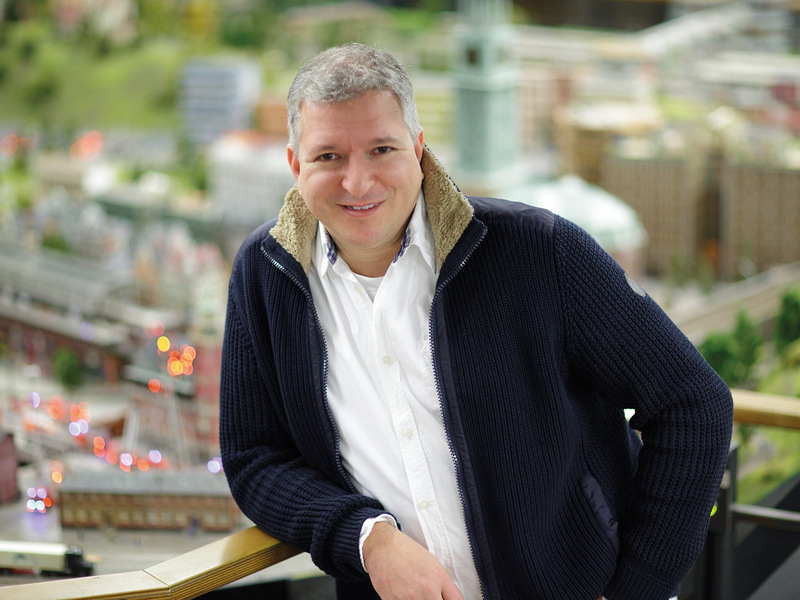 When Frederik told him about his idea to build the world’s biggest model railway, he realized, that his brother had discovered their mutual lifetime dream with the chance of breaking new grounds in the world of miniature modeling. In the following years he developed all the technology for the carsystem, lighting, water and ship steering, that make the Wunderland so unique until this day! Approximately in 1989 Stephan Hertz and Gerrit Braun met for the first time. They started working together with Frederik Braun, first financially, and later they took on larger projects, their mutual undertakings culminating in the purchase of the nightclub “Voilá”. The idea of starting something new came a few years later – they were only waiting for Frederik to come up with the perfect idea. Since Stephan had had a model railway himself, when he was young, he could easily adapt to the idea of founding the Wunderland along with Frederik and Gerrit. Stephan's focus is on the website and it's development.